I've spent the last 24 hours thinking and talking about how to know if something is right for you, where you are, with the business you have. You see, yesterday I opened the Starship to new members, and I've welcomed in three new members and heard from quite a few more. Our conversations have me reflecting on how I make these decisions in my own business, and how anyone knows that anything is the “right” for them. I have a few questions I ask myself before buying, whether it's a $25 guide or a $500 year-long adventure. Do I know and like the person? Does it provide the structure that I need? For me, this means something more than a simple PDF download. I learn best if the information is chunked up and delivered in pieces, and has some kind of accountability built in. The entire reason I joined Up & Running is that I needed a training plan and accountability on the regular. Does it fit with my immediate goals? Is this thing aimed at what I'm working on right now? Even if the class has fantastic information, if it's not information I can use right now, I resist it. Does it fit in my long-term vision? Is this going to help me build the kind of business I want to own next year and the year after that? Is this going to distract me by thinking about something short-term? And the really hard question: Is this going to help me become the kind of person I want to be? Or encourage me to focus on being someone else. This question is so hard to answer, but vital. There are super-compelling classes, books, and adventures that look fantastic. But if they don't promote my core values, or encourage me to be me, then I know they're not for me. Of course, the first step is to know what you value and define them, so that you can spot them (or their lack) in an offering. The values I look for in a class or book are exploration (trying and experimenting vs. certainty that THIS is the one true way), personal responsibility, sustainability (valuing the long-term over the short-term, conserving resources), and self-knowledge. This reflects my business ethics and ensures I spend my time in integrity. 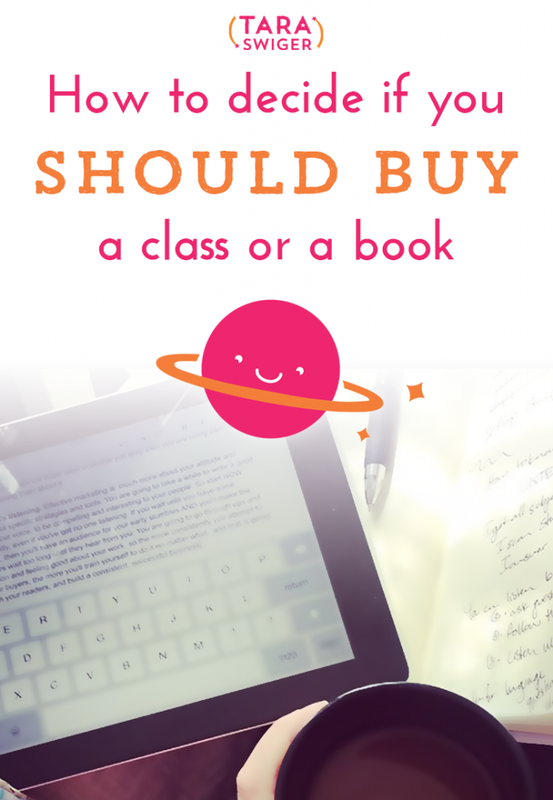 What do you ask yourself before you buy a class or book? I love these tips and will be applying them to everything I look at in the future. I particularly relate to asking whether the thing I’m contemplating fits in with my immediate goals as I have a tendency to accumulate books and courses that I want to do “at some stage in the future” or to use them as a means of procrastination. Great info – thank you! Glad you found it helpful! 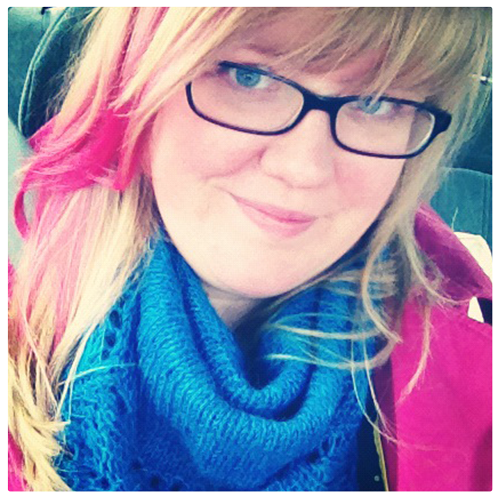 I was doing the same thing – collecting things for “some day”…and then forgetting I had them! This is really helpful. The only thing I’d add is that sometimes you have to weigh whether you really have the time to commit to learning right at the moment. I’d LOVE to take your upcoming class on learning how to talk about what you do, but it’s during the final week of the school year here and I’m already juggling way too much. I’d have jumped right into it if it were over three weeks instead of three days, but I just know I don’t have the time to put in during those days to get what I want and need out of it. :-/ So I’m passing on it, and crossing my fingers that even though you said it was a one-time class, you guys will decide to do it again in the not-too-distant future. One of these days, I’m definitely climbing aboard your Starship. 🙂 In the meantime, I recently bought your book and I love your always helpful blog posts.